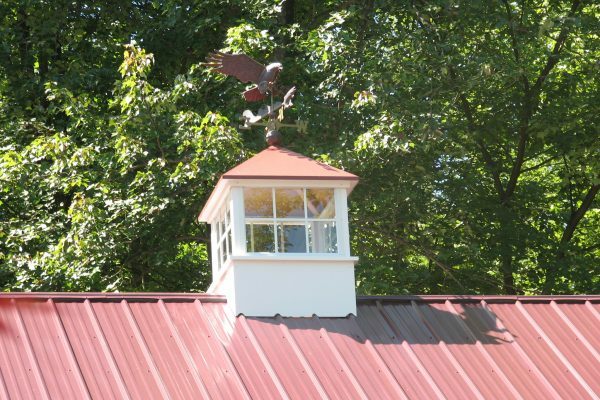 Yes, a pole barn cupola will add that extra touch you were looking for. But more than that, a cupola on your pole barn can be vented and create an outlet for hot air where it needs it most…the roof. 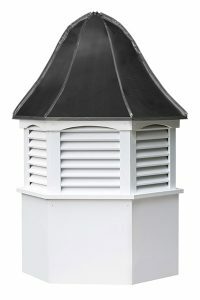 We offer louvered cupolas for ventilating your pole barn year-round. A POLE BARN CUPOLA can be custom ordered with your roof choices, window or louver options and more. You can match the size of your cupola to pole barn with our guide for choosing the right sized cupola for your building. It’s as easy as 1, 2, 3… Simply find your cupola in our store, it will be shipped to your preferred location and you can install with our instructional video! What size should my Pole barn Cupola Be? Rule of thumb is measuring the length of your building and then multiplying by 1.25. That will give you the approximate inches that is ideal. If you have a long pole barn, consider adding a large cupola in the middle and two others on the outside. A 24 foot pole barn needs a 36 inch cupola, a 32 foot pole barn needs a 48 inch cupola. See more instructions here. Can my Pole Barn Cupola be Ventilated? Sure, but you want to make sure you buy the right type of cupola for your pole barn. 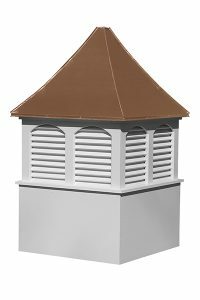 Louvered cupolas give you the option of ventilation but there are a few more steps to the process. Make sure you are prepared with all the necessary tools and take extra precautions as you do the job. Do you offer Cupolas in Custom Colors to Match my Pole Barn? If you want to match the color of the pole barn, there are two options. 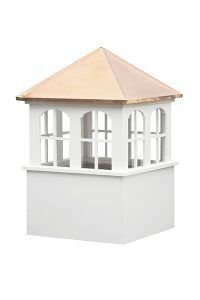 You can either buy a wooden cupola and paint it the color you wish or choose from our list of vinyl cupola colors here. We offer a range of color choices so you might find a color to match your building.